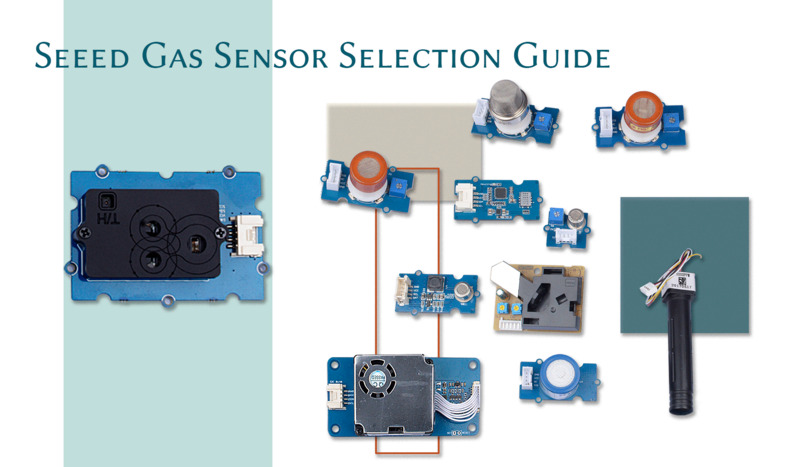 Gas sensor is a device which can detect the presence of various toxic and combustible gases present in the environment. The interaction between the test gas and the sensing surface can be detected by the measurements of change in resistance, capacitance, work function, mass, optical characteristics etc. Below table is from Source1. There are a numerous use of these gas sensors. Particularly, using these gas sensors human beings can be saved from potential dangers. Hence the gas sensors play important roles in various sectors, which include industry, medical, environmental applications, and domestic applications for monitoring toxic and flammable gases. Below table is from Source2. For all the Grove Gas sensors in our bazaar, please click bazaar Grove Gas sensors tag to check. Or you can click here to get better view of the table.